Because personal experience is behind true sporting art, it is in a class by itself, and has had very few masters. Among them: Winslow Homer, Carl Rungius, Frank Benson, A. B. Frost, A. L. Ripley, Thomas Eakins, and Ogden Pleissner. 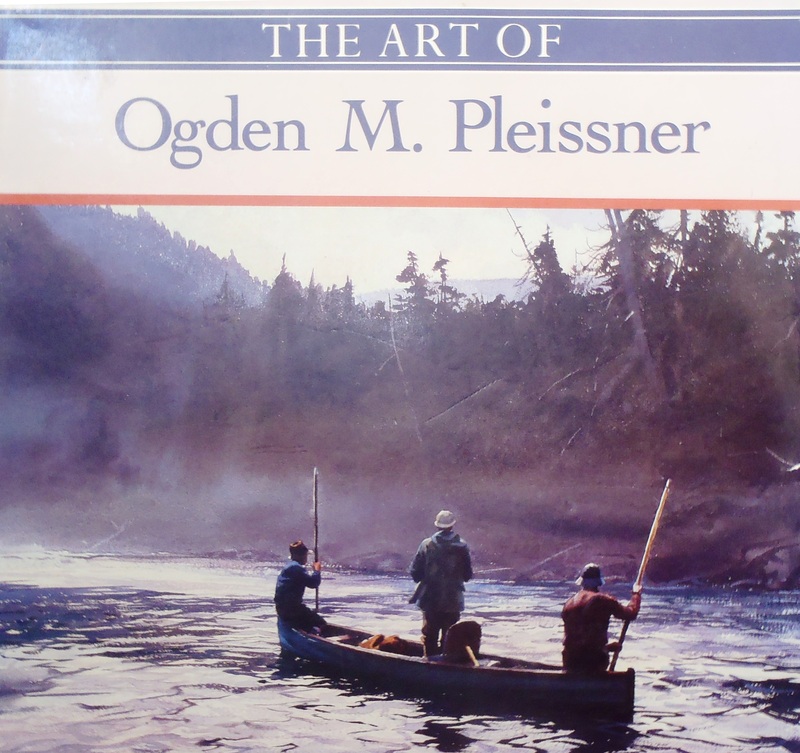 In the foreword to The Art of Ogden Pleissner the artist is quoted as saying that he was “a landscape painter, a painter of landscapes who also liked to hunt and fish,” and he wanted to be recognized and remembered for the full range of his work. However, it was his sporting work that I first saw and related to back in the early 1970s just when I was trying to find my way as an artist. I could see that he was painting his interests and doing it with authority. This helped me understand that I could best express my creativity by painting my own similar passions. A fine painting is not just a subject, not just the article of the image on the canvas. I think it is the feeling conveyed of form, bulk, space, dimensionality and sensitivity. The mood of the picture is most important. A fine number of the fishing and shooting fraternity are awfully nice people who love to travel and enjoy the outdoors. They are conservationists and like to be out and see the game and the country. They’re damn fine people, I have found. And they and bird dogs make very good friends. Painting is a funny profession. I’ve always felt pretty free as to what I can do. I just paint something in the neighborhood I am in, and I’ve been in some vey nice neighborhoods and seen some lovely country in the course of my work. This entry was posted in Uncategorized by Eldridge Hardie. Bookmark the permalink. I hope you enjoyed it. He has had a great influence on me.